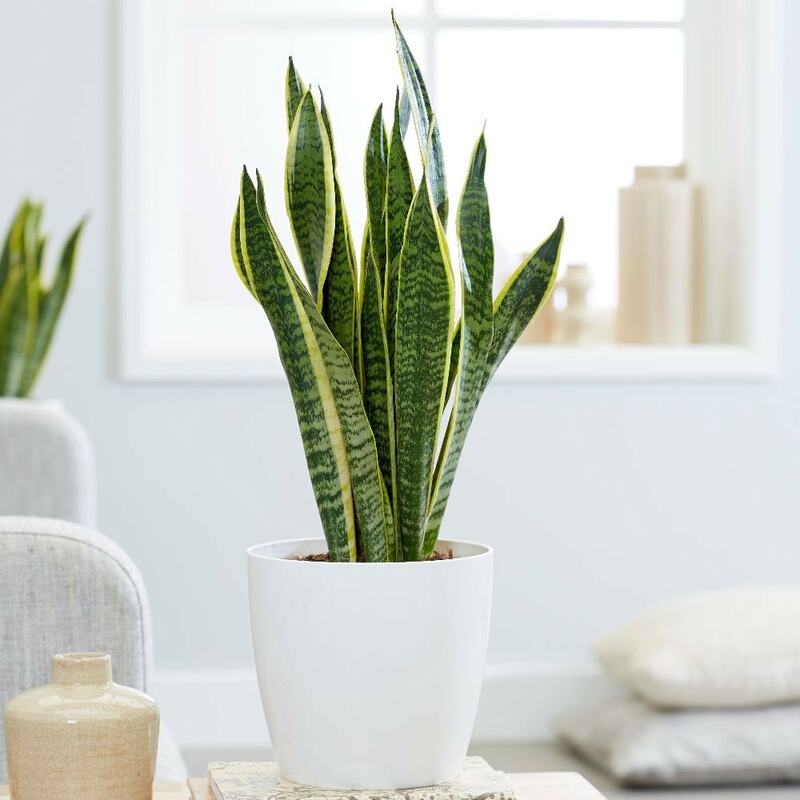 If you have never grown a house plant before and are looking for something that is virtually indestructible, then look no further - as this is probably the toughest and most tolerant house plant you can find. 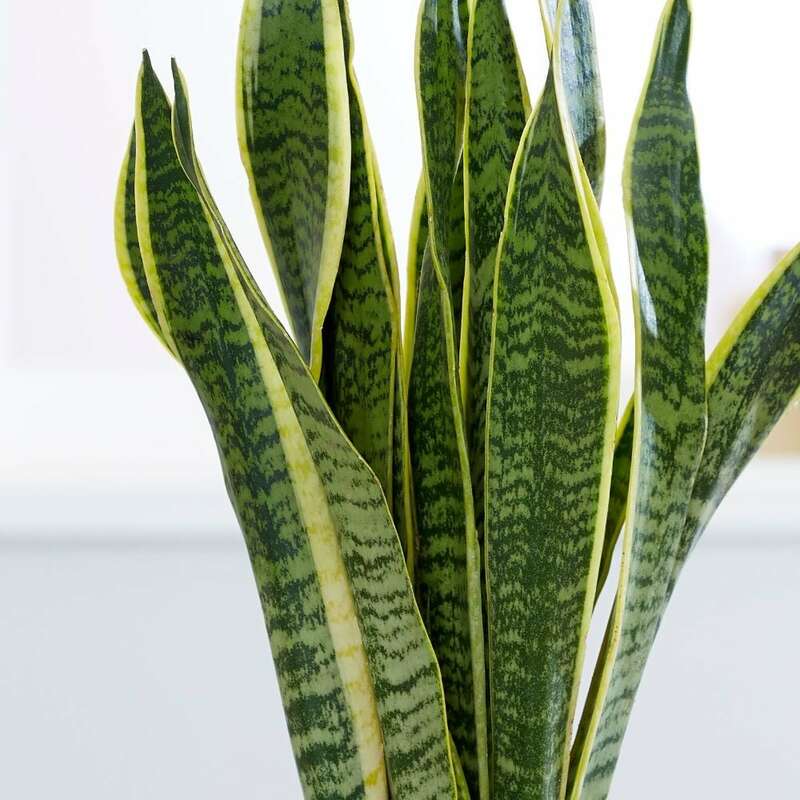 It's a good-looker too, with attractively patterned leaves that don't flop or spread. 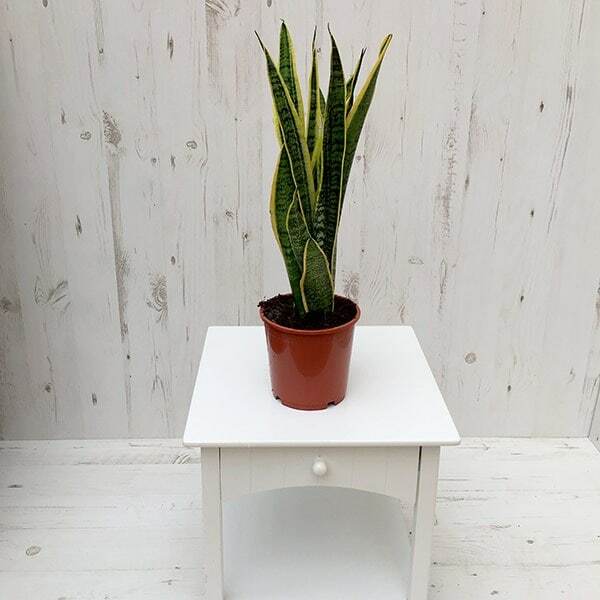 It's great for tight spaces, or where you want something upright.Please note that the pot in the photograph is not supplied with the plant (which is sent out in a black plastic pot). They do however make excellent potted plants, and if you wish to pot yours up, we do have a wide range of pots on our website to choose from. Some of the older leaves of my sansevieria plant DO flop. Younger shoots coming up, otherwise looks healthy. The floppy leaves are causing the plant to unbalance and keel over. Help! Hello, These leaves are quite fleshy, so the most likely cause of this is too much water. It sounds as though the older leaves may not recover, so I would cut them off, but do keep an eye on the watering and only top it up when the compost gets really quite dry.